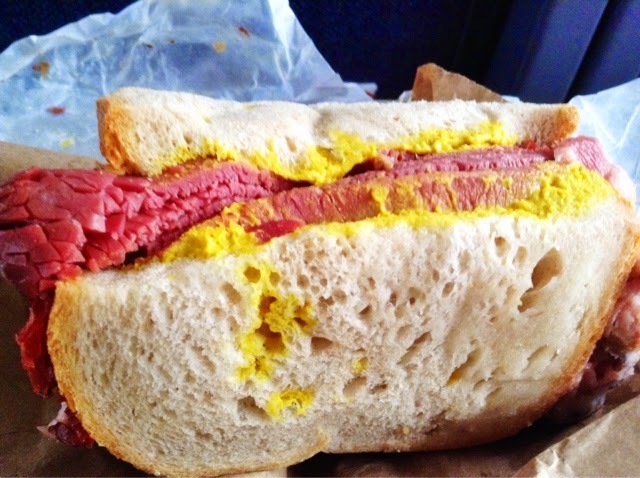 This log of smoked meat encased in three slices of rye was excellent train fare on the way down to NYC from Montreal. The meat was fatty and encrusted with spices and delicious even though cold and congealed from its overnight in the fridge. We regretted not devouring one sliced hot and fresh while postholing up Mt. Royal.